1Preheat oven to 400 degrees F (200 degrees C). Line a baking sheet with aluminum foil. 2Mix cream cheese, Three Little Pigs All Purpose BBQ Rub and cheddar cheese together in a bowl until evenly blended. 3Fill each jalapeno half with the cheese mixture. 4Put halves back together and wrap each stuffed pepper with a slice of bacon. 5Arrange bacon-wrapped peppers on the prepared baking sheet. 6Bake in the preheated oven until bacon is crispy about 15 minutes. 1Mix cream cheese, Three Little Pigs All Purpose BBQ Rub and cheddar cheese together in a bowl until evenly blended. 2Fill each jalapeno half with the cheese mixture. 3Wrap each stuffed pepper with a slice of bacon. 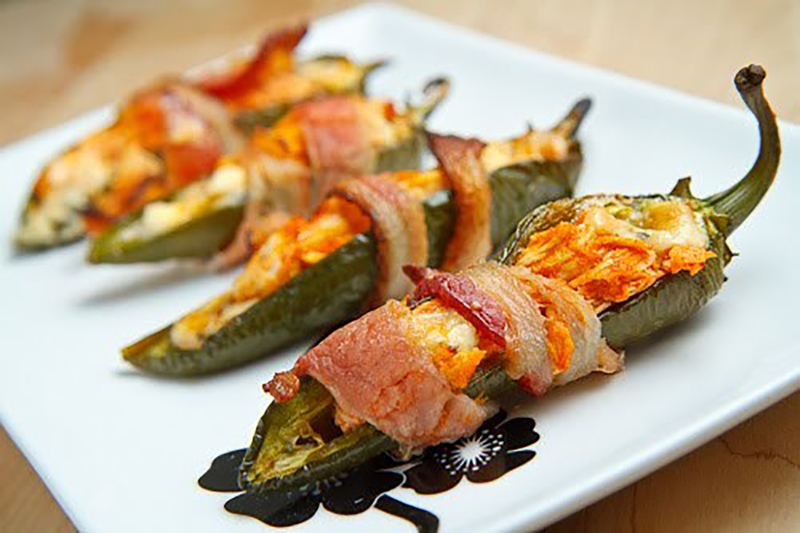 4Arrange bacon-wrapped peppers on the grill. 5Smoke at 225 degrees for 1 hr. or until Bacon is cooked through and crisp.